Nestled on the banks of the River Clyde in one of Scotland’s most desirable residential areas, Bothwellbank is Miller Homes’ latest development in the West of Scotland. The leading housebuilder has unveiled 15 prestigious, five bedroom homes in three stunning housetypes that encapsulate luxury living and are now available to buy. The impressive frontages have been completed with striking contemporary anthracite window frames, which complement the brilliant white rendering giving the homes a unique look. Just half a mile from Bothwell’s conservation town centre, daily life is made easy with a variety of local amenities, including boutique shops and bakeries on Bothwell’s subtly opulent High Street, as well as quaint pubs and fine dining restaurants. The Clyde Walkway and Strathclyde Country Park are also on the development’s doorstep, providing plenty of exploring opportunities and Bothwell Castle Golf Club offers the chance to play a round of golf within a picturesque woodland setting. Bothwellbank’s location has a secluded, peaceful feel – yet its proximity to major roadlinks leading to both Edinburgh and Glasgow makes it the perfect place to call home. The 15 premier homes have been designed to meet the needs of modern families and are finished to the very highest standards. Each has its own unique character giving buyers the freedom and flexibility to adapt and personalise to suit their needs. The Carnegie, with its stunning entrance porch and twin bay windows, is a standout home. An open plan kitchen and dining area to the rear of the home is perfect for contemporary living and the addition of a kitchen island creates a space for cooking preparation that can also be used as a stylish breakfast bar. An adjoining laundry room helps to keep everyday clutter at bay. A formal lounge, elegantly entered through double doors, and dining room are ideal for entertaining family and friends, with the flow of the downstairs space allowing for both sophisticated socialising and relaxed family living. A central landing leads the way to five bedrooms upstairs, including a master bedroom, which offers the perfect escape from everyday life, complete with a separate dressing room and private ensuite. A further bedroom benefits from an ensuite shower room and the additional rooms can be adapted to suit a family’s needs making an excellent den, tranquil office or even a home gym. A family bathroom with a separate bath and shower also means there is plenty of space for a large or growing family. The Carnegie is priced from £660,000 and is available with incentives, including a contribution towards LBTT costs and Part Exchange. Also available at Bothwellbank is the Abercromby, a beautiful home designed to make best use of natural light with the addition of a conservatory alcove keeping the open-plan ground floor living space bright and airy. 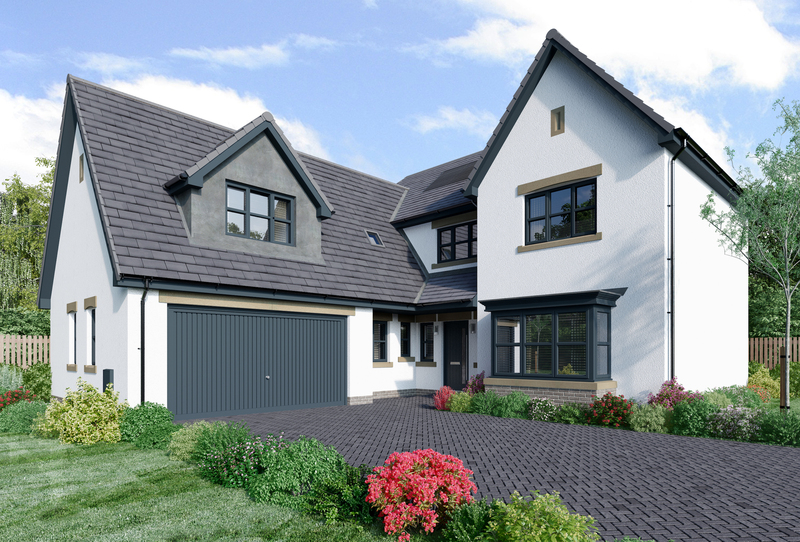 The Abercromby features a lounge at the front of the home with a contemporary bay window and an open plan kitchen and family area downstairs, which is perfect for relaxing and entertaining guests. The addition of a laundry room and a WC add an element of practicality without compromising the home’s style. Upstairs there are five bedrooms and a family bathroom with separate bath and shower. A large window ensures that the master bedroom is filled with natural light, and the room also features a contemporary ensuite and stylish double fitted wardrobes that offer ample storage space. The second bedroom features an ensuite and the additional rooms are flexible to suit a family’s needs. The Abercromby is priced from £645,000 and is available with incentives to make your move even easier. 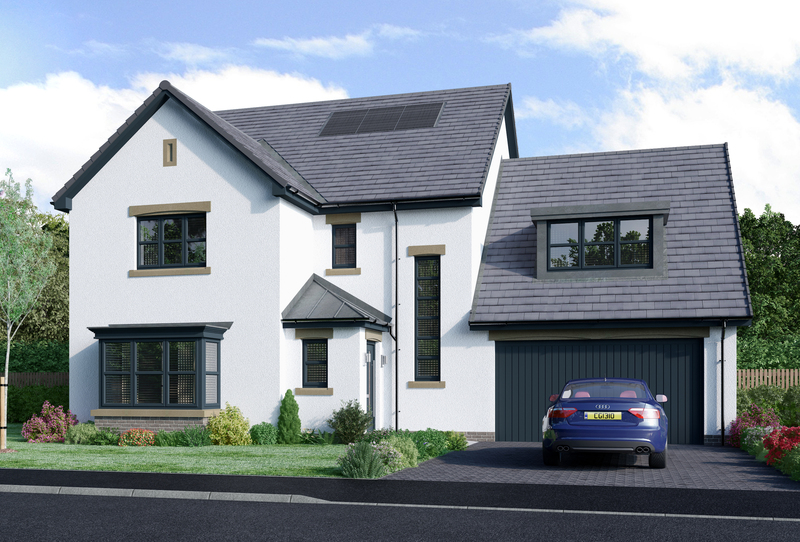 The Mackintosh is another family home designed to Miller Homes’ Premium Collection specification. The welcoming entrance leads the way to the lounge, which is flooded with light from both a stunning bay window and patio doors leading to the garden. The distinctive flow of the downstairs space allows for an additional room at the front of the home, which makes for a great home office, a den or even a playroom for little ones. The dual-aspect kitchen and family area offers the perfect place for families to come together and a separate dining room provides a space for more formal entertaining. A WC and a laundry room add convenience for everyday life. A winding staircase leads the way to four bedrooms and a master bedroom, complete with double fitted wardrobes and private ensuite. Thoughtfully built with family living in mind, two of the bedrooms share a Jack and Jill ensuite and there is also a main bathroom, meaning busy morning routines go without a hitch. The Mackintosh is priced from £620,000 and is available with incentives to make your move even easier. 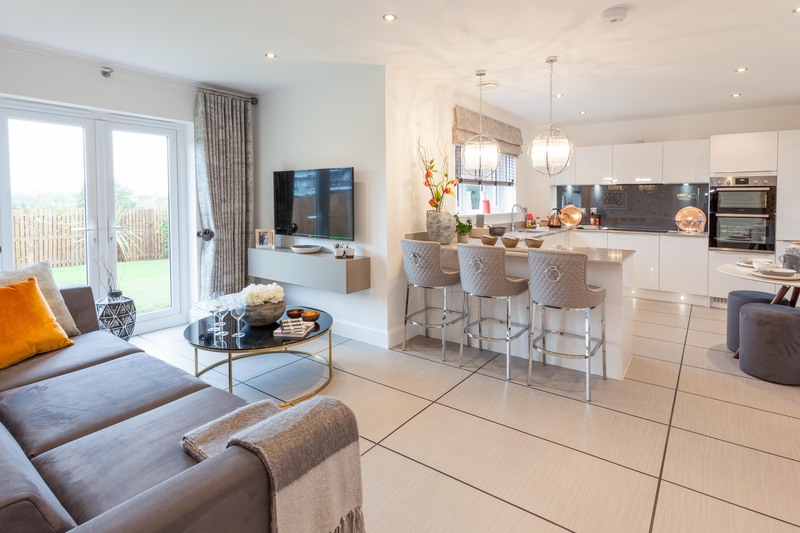 Miller Homes will be launching a further phase of 65 four and five bedroom homes on 24 February, featuring 8 of the housebuilders most popular housetypes. Homes at Bothwellbank are selling from the marketing suite at 10 Main Street, Bothwell, G71 8RF. For more information call 03300 372 393 or pop into the marketing suite from Thursday to Monday between 10.30am and 5.30pm.